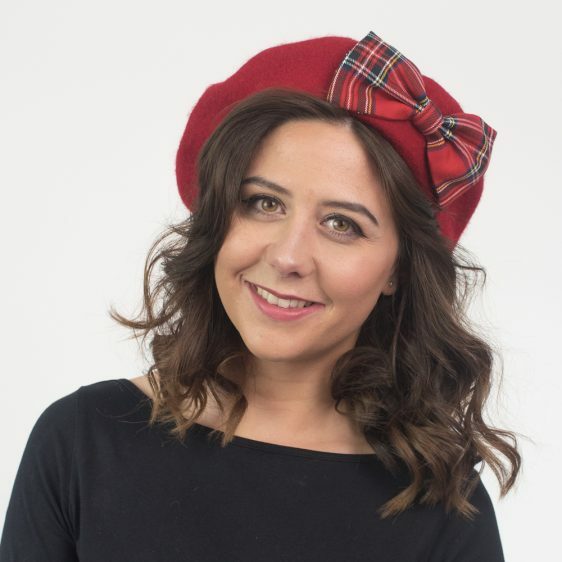 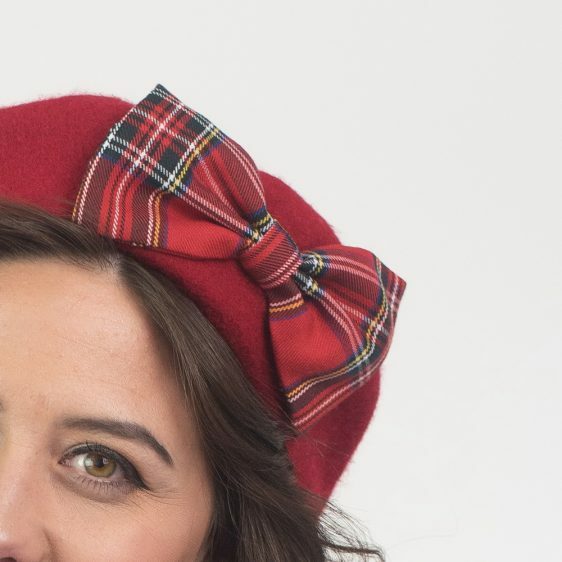 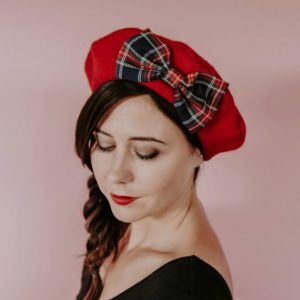 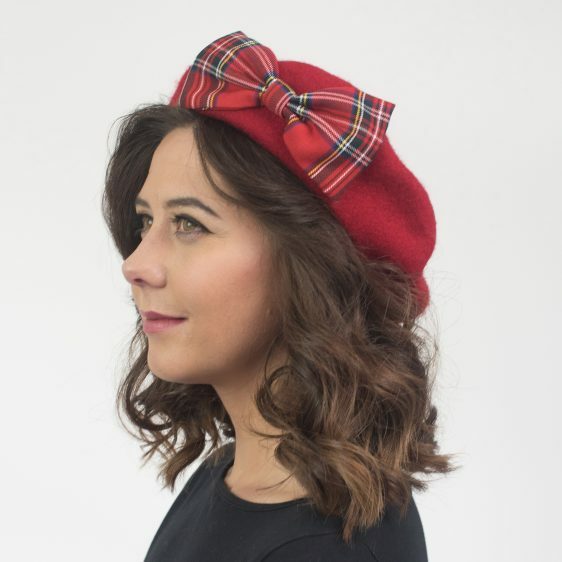 A machine made red wool beret hat customised with a large handmade red tartan fabric bow. 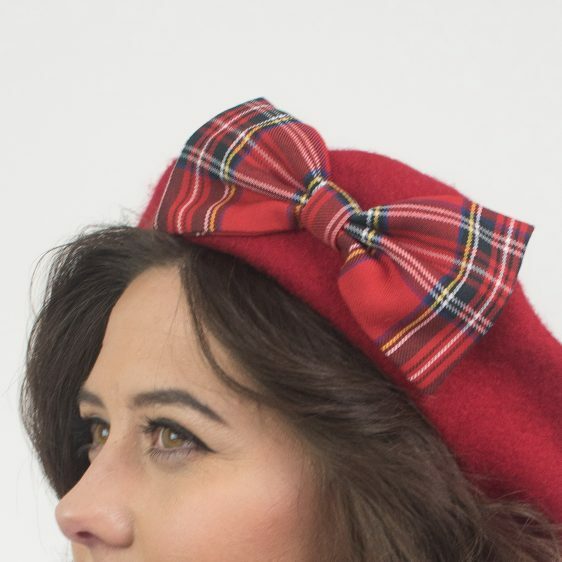 This is a classic Stewart tartan fabric. 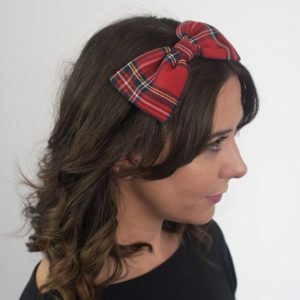 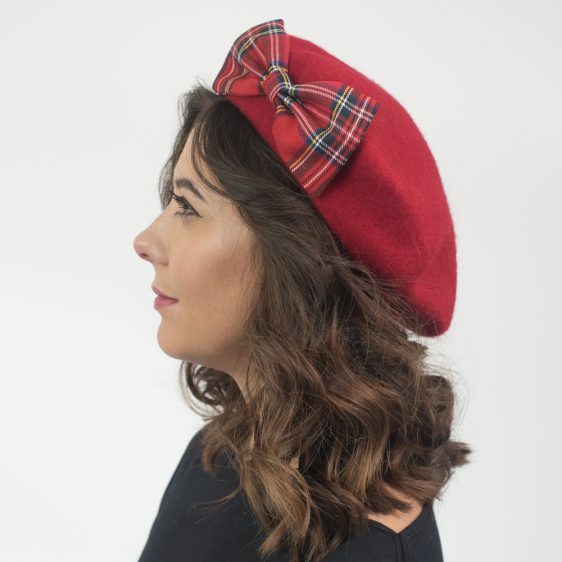 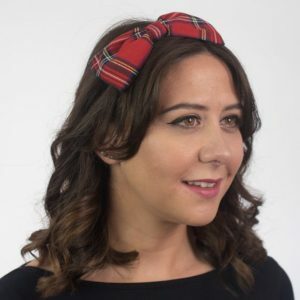 This red beret is also available with a range of other tartans.